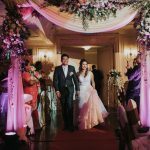 As a wedding photographer in this industry, we are known to cover many wedding and social events too. 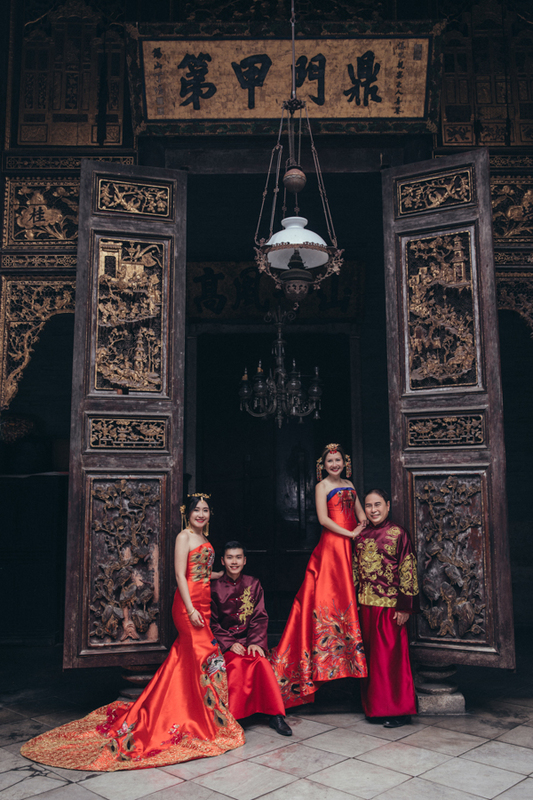 Apart from that, we also offer our services in Newborn, Maternity and Family Photos. 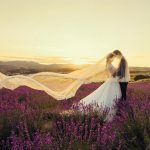 We are always welcoming fresh and exciting ideas or concepts to add a special twist to our shots. With that said, we are delighted to be able to capture for a family all the way from the United States. 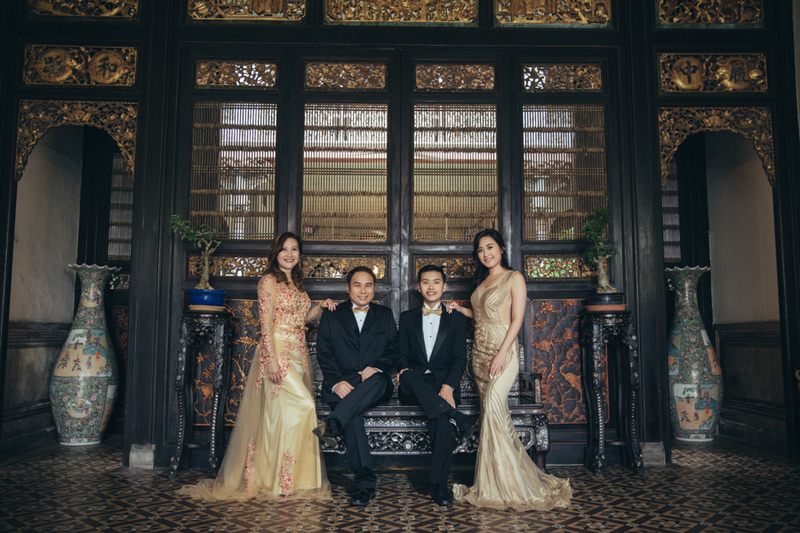 This loving family of four consists of beautiful parents to a beautiful son and daughter. 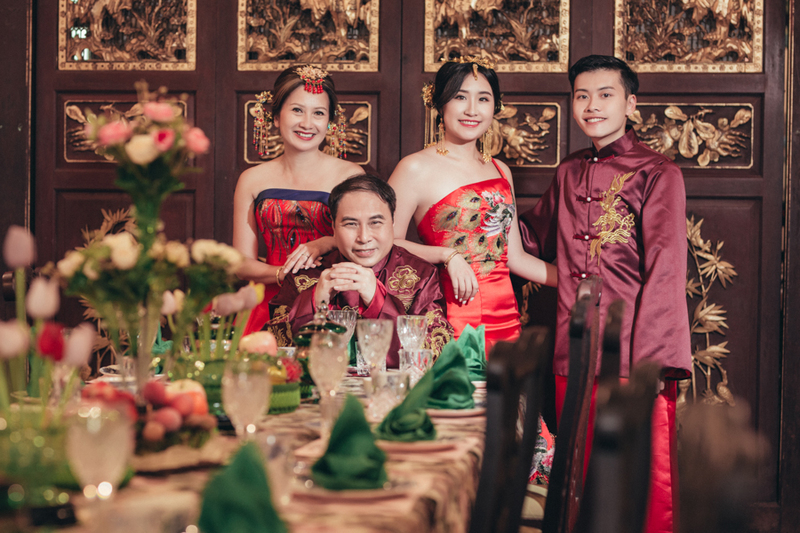 The Chengs have truly embrace the beauty of our Peranakan heritage and culture. When they first approach us, we are very excited to welcome them to our beautiful island. 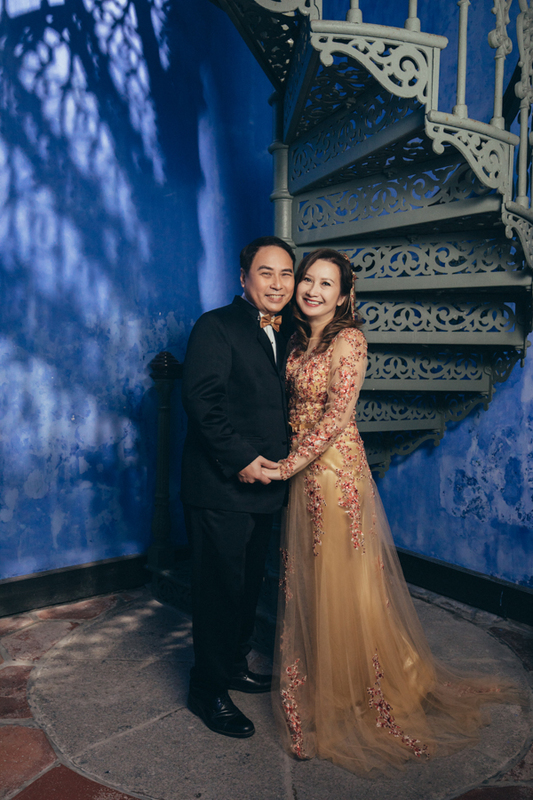 Needless to say, Peranakan Mansion and Blue Mansion (also known as Cheong Fatt Tze Mansion) are the locations that come to our mind. 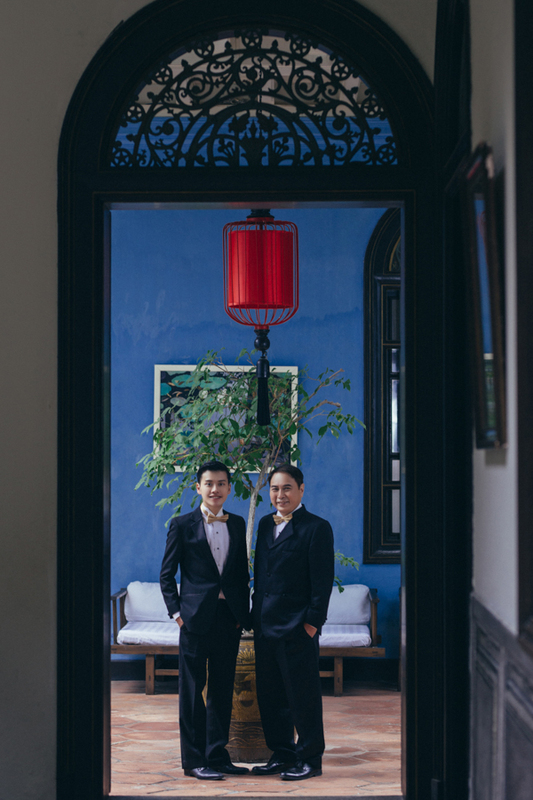 During this Family Photo, the Chengs opt for a modern family twist in an elegant setting of Blue Mansion. The ladies’ choice of gold dresses coupled with the men in black suits, really stand out in this exquisite setting. 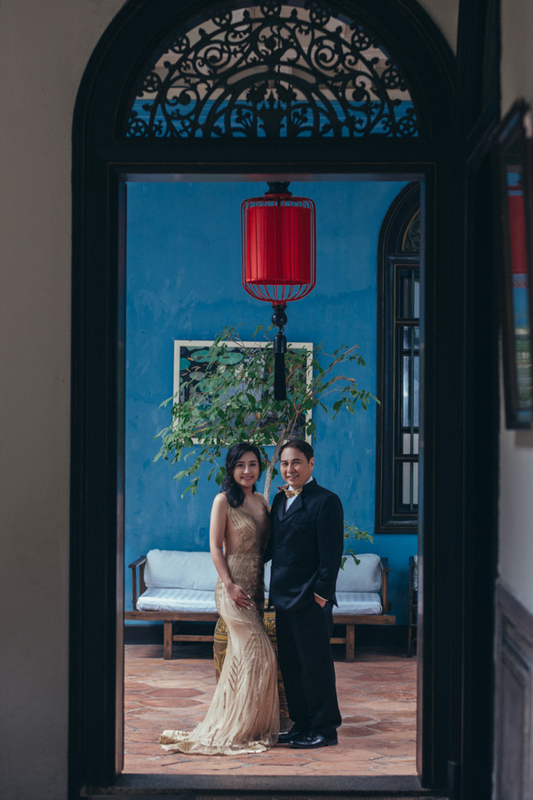 Not only that, the color just blend in beautifully with the vivid Indigo Blue building walls. 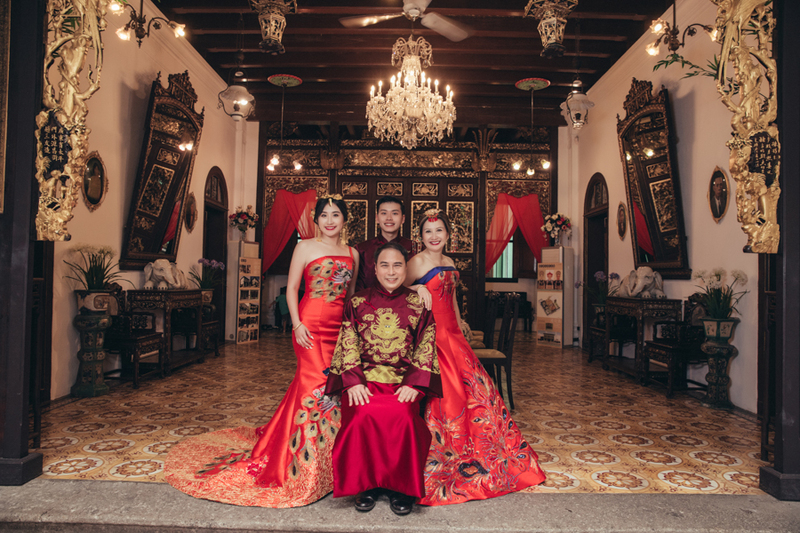 After the first location, the Chengs transform into the old great times of Chinese dynasties at Peranakan Mansion. 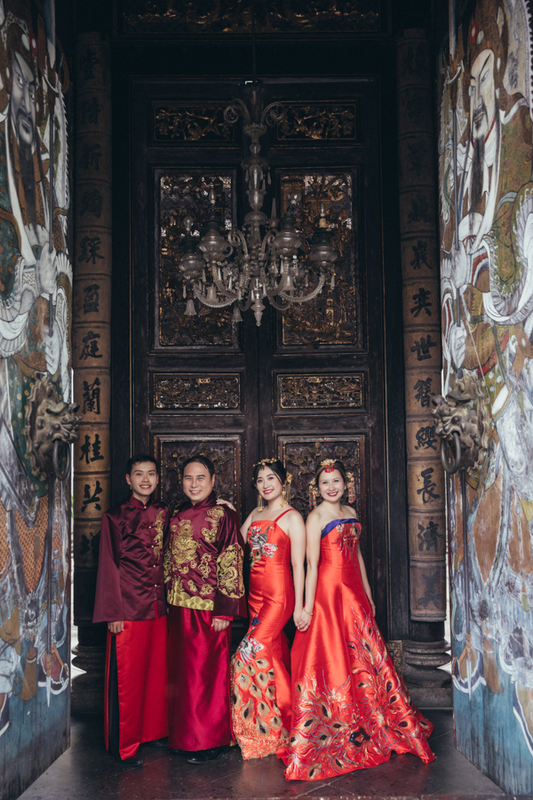 The ladies don beautiful oriental red gowns with detailed embroideries with the men in matching Chinese men suit. 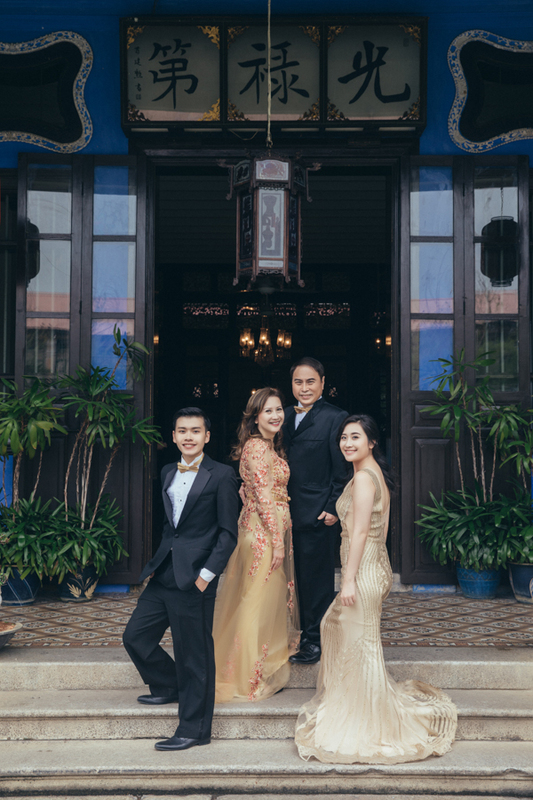 Again, the family of four look absolutely stunning in a mansion that is so rich with Peranakan heritage. All in all, it is an interesting and fun day! 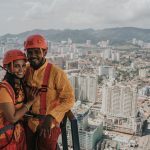 It is definitely our pleasure to be able to show the beauty of our island to clients from overseas.